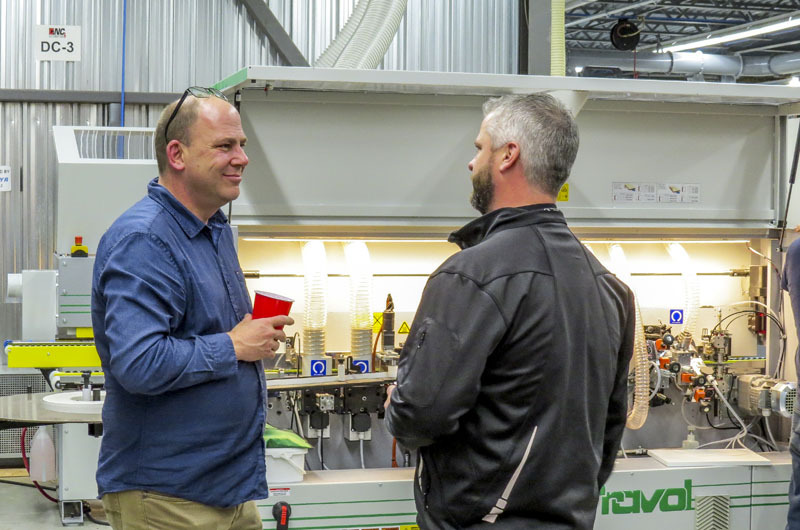 More than 100 customers attend CNC Automation's special Open House event. 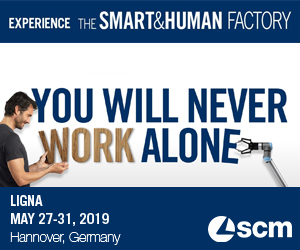 CNC Automation’s three day Open House event that unveiled a ‘Better Workshop,’ was a big hit as more than 100 customers and 40 suppliers and partners attended the company’s completely redesigned showroom. Rather than having a traditional showroom, CNC Automation “changed everything around completely for this event,” said company President Andrew Legault. Legault said that they arranged for offsite storage to empty out the showroom and instead set up a fully operational workshop. 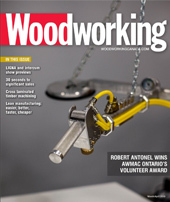 Legault told Woodworking Canada they made the changes because customers repeatedly asked to show them how to solve problems or manufacture a certain new product. “So now there is no stock on the floor, instead, we can take you through what we think would be the best way for you to produce a certain product. It’s all here from CNC nesting machines, 5-axis routing, sanding, brushing and polishing, and drilling and dowel insertion to coating and finishing and whatever else you want to see.